St Brigid of Ireland, also known as St Brigid of Kildare, was born on 453 AD and died aged 70. 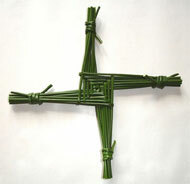 St Brigid’s feast day is celebrated on Febuary 1, the first day of spring coinciding with the pagan festival of Imbolc. In Christian teachings Brigid was an Irish nun, abbess, and founder of several convents, who is venerated as a saint. Much of the information about St Brigid has changed over the years and speculations about who she actualy was. St Brigid shares the same name and feast day as the Celtic goddess Brigid. It is believed St Brigid was born at Faughart, near Dundalk in County Louth, Ireland. Brigid’s father, Dubhthach, was a pagan chieftain of Leinster, and Brocca. He was also a Christian Pict who had been baptized by Saint Patrick. Some believe that Brigid’s mother was originally from Lusitania, and was kidnapped by Irish pirates and brought to Ireland to work as a slave. This was also similar to the story of Saint Patrick. Brigid’s father was a practicing Pagan, he reportedly named his daughter after one of the Pagan Goddesses. This goddess was the goddess of fire, her manifestations were song, craftsmanship, and poetry. Irish people considered this as the flame of knowledge. It is unknown whether Brigid was raised as a Christian or if she converted in 468AD as some accounts say. However, she was inspired by the preaching of Saint Patrick at very young age. Although her father disapproved, Brigid was determined to live religious life. Brigid was known to have a big heart and she could never refuse the poor when they came to her door. However, her father, resented this. He disagreed with her actions and thought she was being overly generous. She had a thing of giving away her father’s milk and flour to the less fortunate. 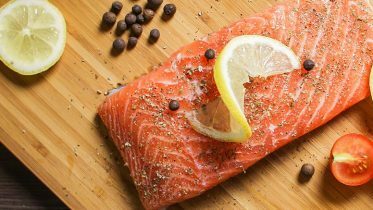 Eventually, her father realized that her call in life may be to a nun. When Brigid gave away his jewel-encrusted sword to a leper, she was sent away to convent. Brigid had finally got her wish; she dedicated her life to Christ completely. From this point, the story of Saint Brigid becomes confused and unreliable as many biographers, historians, researchers have added many tales and legends about her. What is widely believed is that she founded a convent in Clara, County Offaly, which is thought to be her first. Many other foundations arrived afterwards, Kildare being the location of her largest founded in 484AD. It was named Kildare Abbey and it was double monastery, for nuns and monks. It was situated on the plains of Cill-Dara, which means “the church of the oak”, this was because her cell was constructed under a large oak tree as told in the legend of the Magic Cloak. Kildare Abbey flourished over the years and became known as one of the most reputable monasteries in Ireland. It is said that the lost manuscript, the Book of Kildare was written at Kildare Abbey and some even believe it to be the original Book of Kells. As she claimed the title of Abbess of this foundation she had a considerable amount of power. Famous for her common-sense, generosity and holiness, in her time she was regarded as a saint. After her death in 524 AD, she was laid to rest in a tomb before the high altar in her abbey church in Kildare. After many years, her remains were exhumed and transported to Downpatrick to rest with the two other patron saints of Ireland, St Patrick and Columba. The skull of St Brigid was transported to Igreja de São João Baptista, in Portugal by three Irish noblemen. The noblemen remained with St Brigid’s relic until they died and were interred in the tomb. Here in these three tombs lie the three Irish knights who brought the head of St. Brigid, Virgin, a native of Ireland, whose relic is preserved in this chapel. In memory of which, the officials of the Table of the same Saint caused this to be done in January A.D. 1283. In Belgium there is a chapel (7th-10th century) dedicated to Sainte-Brigide at Fosses-la-Ville and Saint Brigid is the patron saint of the Dutch city of Ommen. St. Brigid is famous for her cross which is made of reeds and can be seen in houses all over Ireland, especially around her feast day on February 1. The tale goes, Brigid made a cross from rushes she found on the ground, laying beside a man who was dying. He was a Pagan, and she gave the man the cross, to try and convert him to Christianity. It was popular for many homes to make their own St Brigid’s cross on the eve of her feast day. One belief was hanging her cross near the roof or ceiling to protect the home from fire. One possible motive for this belief is the popularity of thatched cottages in rural Ireland which could easily catch fire.